Kidd, William John (Billy) died 5th December 2018 dearly loved husband, father and grandfather. Will be very sadly missed by his wife Georgina, daughter Stephanie and partner Steven and grandson Daniel. 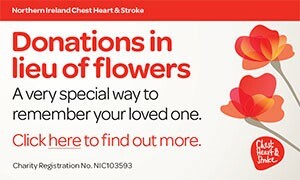 Family flowers only, donations in lieu if desired to Diabetes UK, Wells Lawrence House, 126 Back Church Lane, London, E1 1FH. Funeral service on Tuesday 11th December 2018 at 3.30pm in Roselawn Crematorium. Deep regret and sadness at the passing of a lovely man who will be greatly missed, from Nancy and family. Deeply regretted by the W.M., Wardens and Brethren of Felicitas M.L. I am sorry to tell you that William John (Billy) Kidd has passed away.